The 1830s in New York City were a time of dynamic growth and opportunity. It was in this environment that Charles Lewis Tiffany and John B. Young opened a store for "stationery and fancy goods", with help of a $1,000 advance from Tiffany’s father. Tiffany first achieved international recognition at the 1867 Paris World’s fair. The company was awarded the grand prize for silver... Read moreThe 1830s in New York City were a time of dynamic growth and opportunity. It was in this environment that Charles Lewis Tiffany and John B. Young opened a store for "stationery and fancy goods", with help of a $1,000 advance from Tiffany’s father. Tiffany first achieved international recognition at the 1867 Paris World’s fair. The company was awarded the grand prize for silver craftsmanship, the first time that an American design house had been so honored by a foreign jury. Tiffany was the first American company to employ the British silver standard (92% pure). Largely through the efforts of Charles Lewis Tiffany, this standard was later adopted by the U.S. Government. The Tiffany & Co. silver studio was the first American school of design. Apprentices were encouraged to observe and sketch nature, as translation of the newly discovered “American style” that departed from the European design aesthetic. The young entrepreneurs were inspired by the natural world, which they interpreted in patterns of simplicity, harmony and clarity. By 1870 Tiffany & Co. had become the premier silversmith and purveyor of jewels and timepieces of the America's and by the turn of the 20th century, the company had more than a thousand employees as well as branches in Londen and Paris. Having introduced major gemstones to the United Stated through purchases of the crown jewels of France and Spain, Mr. Tiffany’s enterprise was now the world’s diamond authority. In 1886 Tiffany introduced the engagement ring as we know it today. Tiffany’s ring was designed to highlight brilliant-cut diamonds by lifting the stone off the band into the light. At a great number of World Expositions to come, Tiffany won highest honours. This number of awards led to Tiffany’s appointment as Royal Jeweler to the crowned heads of Europe, as well as the Ottoman Emperor and the Czar of Russia. Throughout the jeweler’s history, the most prominent members society were Tiffany customers. 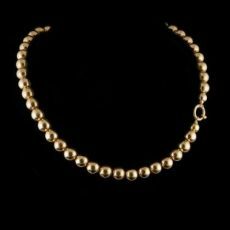 President Lincoln purchased a seed pearl suite for his wife, Mary Todd Lincoln, in 1861; and a young Franklin Roosevelt purchased a Tiffany engagement ring in 1904. 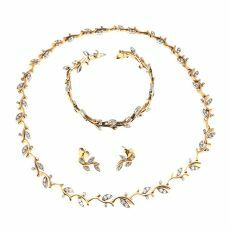 Jacqueline Kennedy Onassis, Elizabeth Taylor and Diana Vreeland were known to possess the jewels as well. Today, with over 200 stores worldwide, Tiffany & Co. can be seen as one of the most renowned jewelers existing.